Been fishing with a friend from back home in my boat or him and his dad in their’s. They both recently moved into the area. Last Friday my friend and I jumped in my boat. 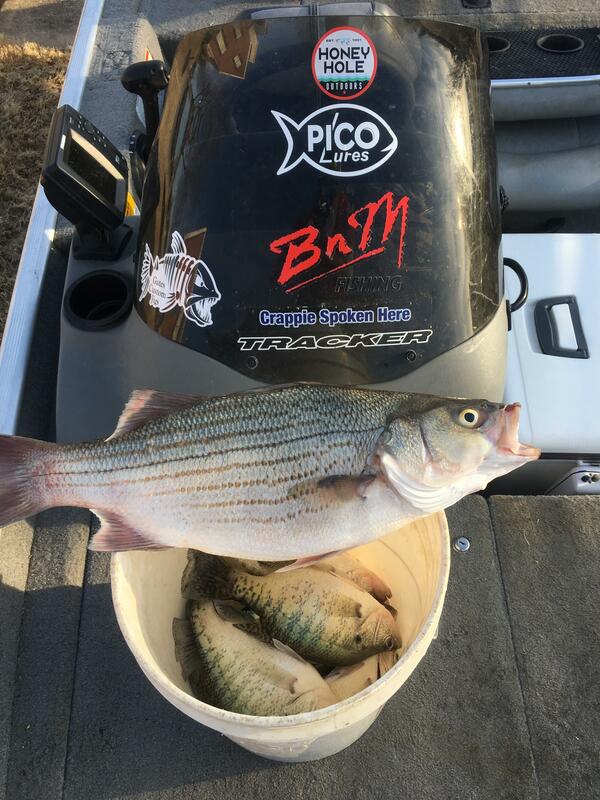 Fished in gale force winds and put 27 in the boat... Bet we didn’t cover a 30 yard rise/hump. That wind just pushed us all over it. Fish were high in the column 4-6 feet down in 13-15 fow. 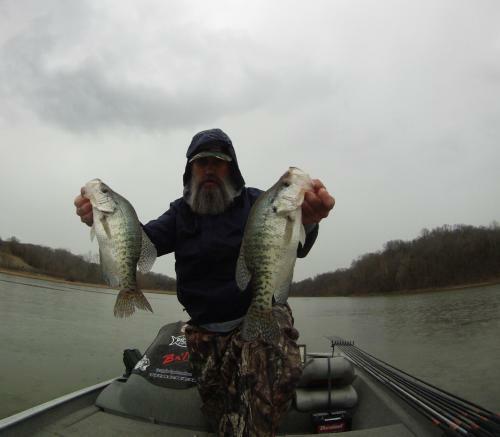 WT temp then was 50-51 in brown water. This weekend had Friday off and the boss is out of town with the girls! Had the whole day. The bite was slow to steady. My friend and his dad in their boat and I running solo. 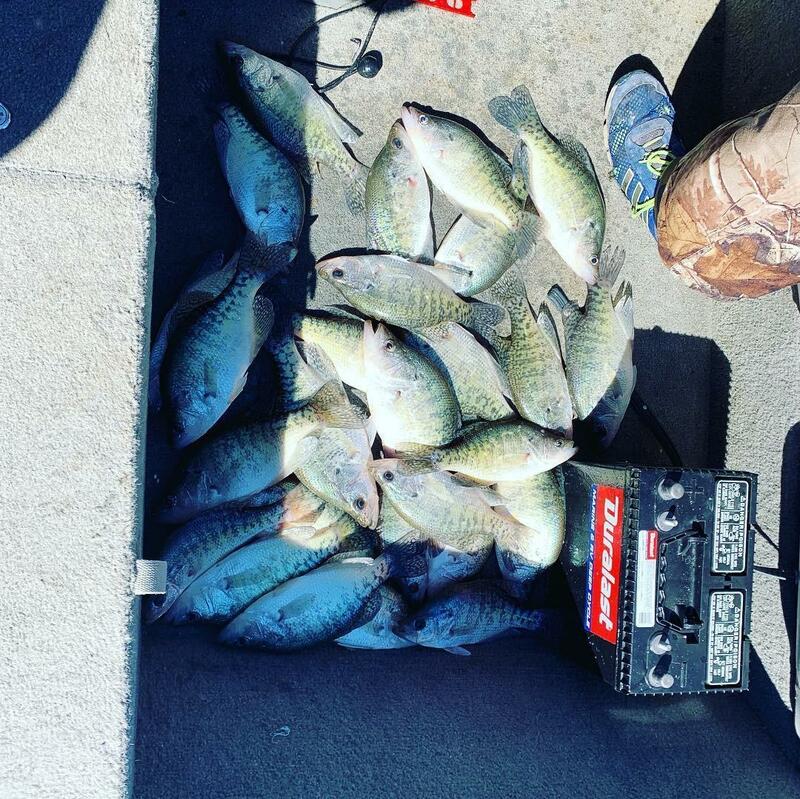 We put a pattern together and all caught our limit. Yesterday got started early before the rain and before the girls got home. Fished deep for a little bit but really wanted to go shallow yesterday. Just to see what was there. Just enjoy rigging shallow. It’s that slow movement and having to be stealthy. Usually do it year around but with higher water than normal this year I’ve stayed over deeper water. @Lance34 great job! Nice fish buddy. Lance you most certainly have it figured out man. What a set of whiskers! Good job Lance. I got out Sunday. Caught 2 pretty nice crappie 6-7 feet deep in 10 fow in the first 30 mins and thought I was getting somewhere. Then the dang wind came and then the rain. Quit at the sound of thunder. Don’t want any of that. Becky has a couple staying here at the Lodge from Rogers. He took last week off to fish Beaver and this week to fish the Rock. Guy said he has fished Beaver for 30 years and never had such a week as he had last week on crappie. Fished the 412 bridge area and said it was stupid good. 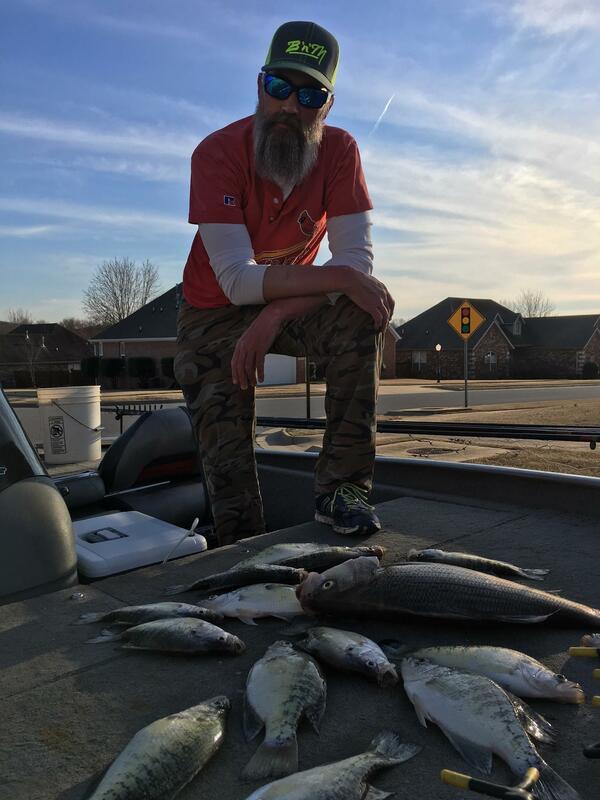 Said they were fishing small tube jigs under a float and minnows under a float in about 6-8ft. of water. 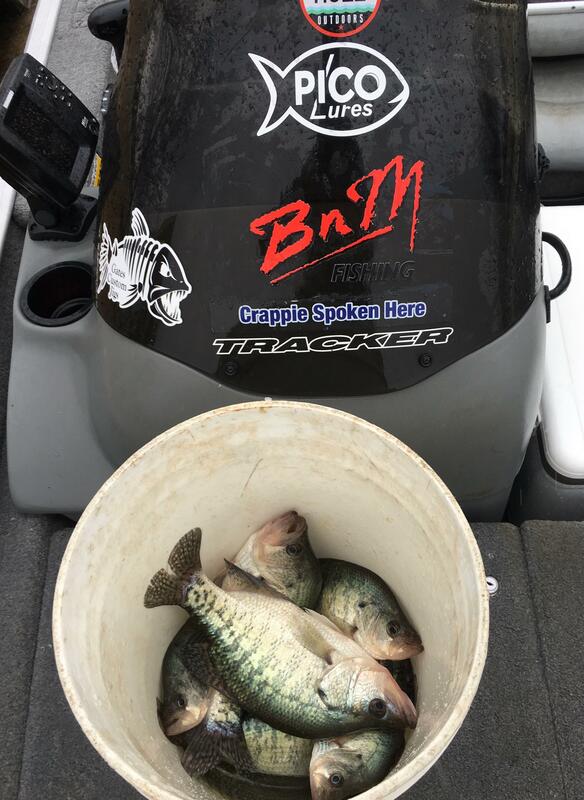 Said the water had a perfect crappie stain. He should have stayed down there as he is not having such a good go up here. 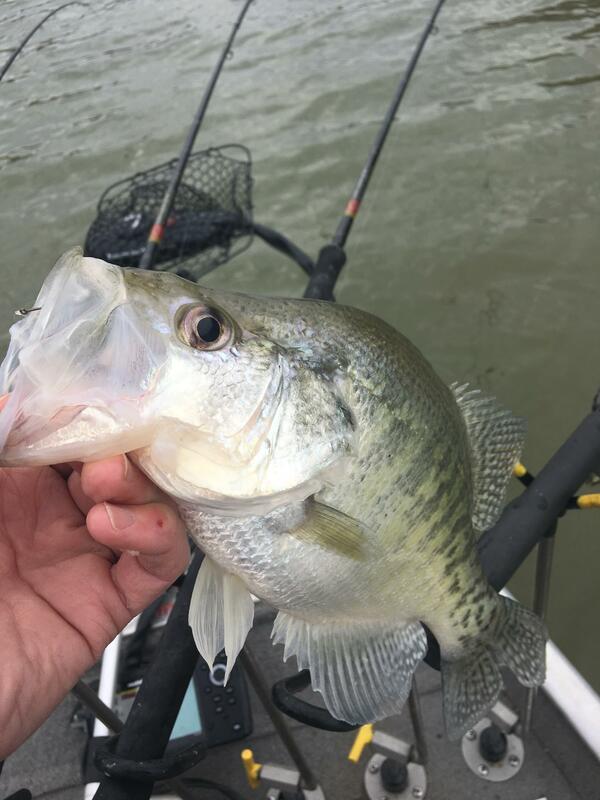 He did get into Big whites up Long Creek and said is was fantastic for about 2 hrs. yesterday evening. The 412 ramp needs some Live Stream video to catch all the crazy boat launches. I've seen some real bad boat ramp etiquette.